Do you like to watch FOX & Friends? If so, you already know who Brian Kilmeade is and his apparent love of history. What may shock you is where heâ€™ll be spending part of this Thanksgiving weekend this year. And yes, it has something to do with Sea Island, Georgia, real estate. So you may want to spend your Thanksgiving in the Golden Isles too. If you decide to visit, it will give you an opportunity to see the famous media personality and enjoy a holiday by the sea. Ironically enough, while here Kilmeade will be discussing a chapter in our countryâ€™s naval history with the public. Of course, anyone hoping to participate in the discussion will need to reserve a seat and nightly accommodations with us. Speaking of chapters, the discussionâ€™s topic also happens to be the subject of a book he wrote. Perhaps youâ€™ve read the glowing reviews online or noticed the title in one of your hometownâ€™s major bookstores. Published under the heading, Thomas Jefferson and the Tripoli Pirates, it is readily available in hardcover, audio CD, paperback and Kindle formats. And whichever format you prefer, youâ€™ll want to bring one with you to Sea Island or buy one when you get here. After all, he may be persuaded to sign it after the discussion ends. Naturally, we canâ€™t guarantee that theyâ€™ll be time for him to get to see everyone but if youâ€™re a die-hard fan, it is worth a try. Incidentally, the event organizers have the one-hour discussion set to end at 10 a.m. 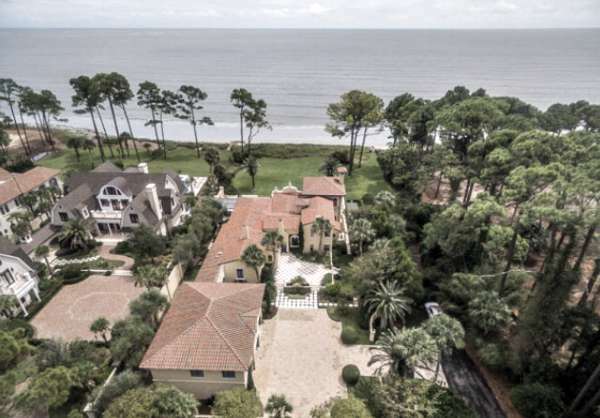 Afterward, there will be ample time to tour waterfront properties and other historical sections of Sea Island, Georgia, real estate with our helpful agents. To learn more about Sea Islandâ€™s historic real estate and make plans to hear Kilmeade speak, please contact DeLoach Sothebyâ€™s International Realty.